Dr. Rand and his team are consummate professionals. They are kind, conscientious and thorough. They use the latest technologyand I feel like I get top notch care. They are extremely busy and there may be a bit of a wait but it is worth it if you want the best possible care. I highly recommend. Dr. Rand and his team are consummate professionals. They are kind, conscientious and thorough. They use the latest technology and I feel like I get top notch care. They are extremelybusy and there may be a bit of a wait but it is worth it if you want the best possible care. I highly recommend. El doctor es muy amable y cálido. Respondió atentamente a todas mis preguntas. Me siento satisfecha con su diagnostico. Dr. David Rand completed his undergraduate education at the University of Miami in Coral Gables, Florida. He received his medical degree from the University of Miami Miller School of Medicine, Honors Program. 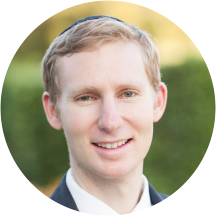 During his medical school term he traveled to Jerusalem, Israel to complete externships in Emergency Medicine and Trauma/Critical Care and Medical Ethics at the Shaare Zedek Medical Center. He completed his postgraduate internship in internal medicine at the Staten Island University Hospital. Dr. Rand went on to complete his residency in ophthalmology at the State University of New York (SUNY), Downstate Medical Center in Brooklyn. He is a part of the SUNY Downstate Department of Ophthalmology research team, which is evaluating the relationship between central venous pressure and intraocular pressure, as well as manuscripts concerning fronto-ethmoidal sinus mucocele and lacrimal gland choristoma masquerading as ciliary body medullo-epithelioma. He has published various scientific papers with his most recent poster presentation of case series of fronto-ethmoidal sinus mucocele associated with sinus osteoma at the Association for Research in Vision and Ophthalmology (ARVO) annual meeting in Fort Lauderdale, Florida. Previous to this, he presented a case series on orbital pseudotumor and orbital calcification at the Radiological Society of North America (RSNA) annual meeting, in Chicago, Illinois. Dr. Rand is well regarded amongst his peers for his diagnostic skills in coupling the root of general medicine findings and how they relate to conditions that manifest in the eye. He is licensed to practice medicine and surgery in the State of New York and Florida. He is fluent in English, Spanish, and Hebrew on a conversational level. Excellent with Dr. Arnold and Dr. David Rand. Best eye exam for thoroughness and they both made everything east to understand. He takes care of his patients. Wait time was over two hours. Doctors were very professional and friendly. Staff was friendly. The BEST Doctor's visit I have ever had!! Dr. Rand provides meticulous and outstanding care to his patients. I wish a quarter of the doctors I have seen in my life where more like Dr. Rand. Dr David Rand is a great doctor and very friendly and professional. I felt like I made a new friend. Dr. Ranno was also very pleasant and friendly and professional as well. I'm not going anywhere else for my eye needs. Rand Eye Institute are my new friends. I will continue to trust my eyes to everyone at Rand Eye Institute and especially to Dr. David Rand. My visit was with Dr. Allyson Rand and Dr. Brown and both werr fantastic.